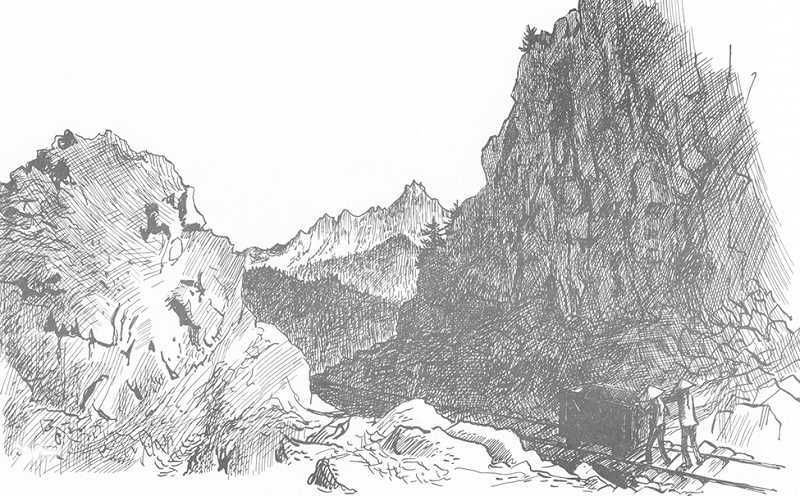 T. Egenton Hogg had a dream of constructing a railroad from the Pacific Coast to the Atlantic seaboard with the line passing over the Santiam Pass. His exuberance did not match the practical vision, and although the project did begin in the 1880s, it never materialized. Hogg reorganized that, and in an effort to sooth investors, he jumped ahead on the line and started constructing a short segment of the railroad at the summit in 1888. His rights called for operating a train over the pass.